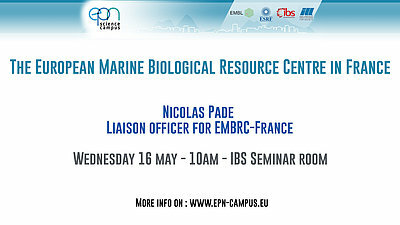 EMBRC-France offers access to marine ecosystems, biological resources, and the facilities necessary to study them for academic research and private companies. With its services, it aims to answer fundamental questions regarding the health of oceanic ecosystems in a changing environment, enable new technologies to further our investigation capabilities, support life-science breakthrough discoveries with the use of marine biological models, and continue long-term marine monitoring efforts. The three French sites provide access to their local ecosystems for sampling an in-situ experimentation, aquaria and wet-lab space with sea-water circulation systems, analytical platforms, as well as on-site accommodation. The principal vocation of the infrastructure is to supply microbial, animal, and plant research models, from all major evolutionary lineages, particularly those not present in terrestrial ecosystems. Through on-site visits or remote services, EMBRC-France unlocks difficult access to marine biological resources and makes available a major tool for the exploration and exploitation of marine biodiversity, from the molecular scale to ecosystems. EMBRC-France is a node of the EMBRC-ERIC, a pan-European research Infrastructure with nodes in eight countries. Part of the ESFRI roadmap since 2008, it is designed to further fundamental and applied marine biology and ecology research, coordinating activities and development of sites in the participating countries.